Piper runners-up at Bobcat tourney – Welcome to Wyandotte Daily! 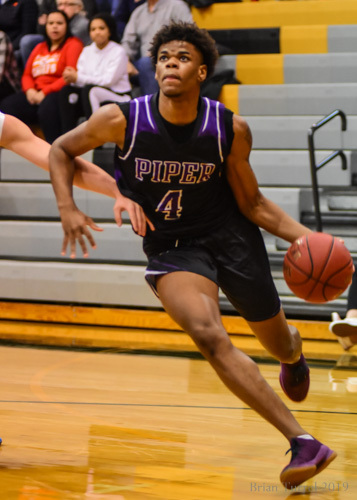 The Piper Pirates boys basketball team took second place in the Bobcat Invitational Basketball tournament on Friday night, losing 62-51 to Washburn Rural High School in the final game, which was moved earlier to stay ahead of the incoming winter storm. A loss to the Junior Blues wasn’t inconceivable in this contest between two of Kansas’s best teams. Washburn Rural is fourth-ranked in class 6A for the biggest high schools, while Piper is the top-ranked school in class 4A. 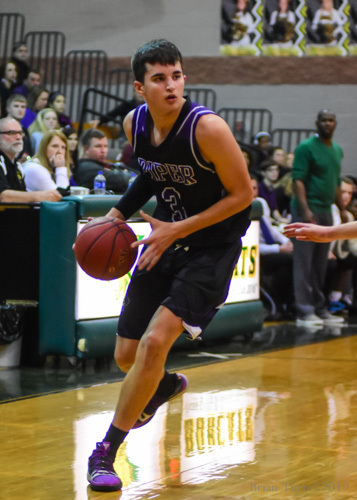 Piper’s path to the final result was a rollercoaster ride, climbing to the peak of a 19-point halftime lead, and then suddenly plummeting as the Junior Blues took control in the third quarter. 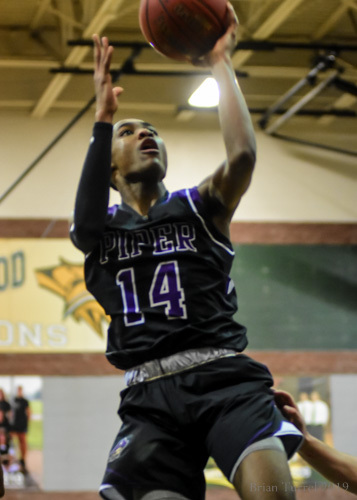 Piper built their lead on great shooting and solid defense. 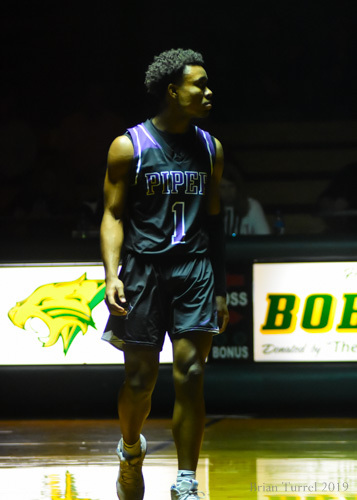 Piper’s Ty Shelley, Trey Bates and Tamar Bates each hit two 3-pointers in the first half. The Pirates’ defense allowed Blues’ star Jordan White to collect 11 points in the half, but the rest of the Blues combined scored only 6. In the second half, Washburn Rural opened with a heavy half-court press that seemed to catch Piper off guard. Washburn collected several steals that they returned for layups, and quickly brought their deficit back under 10. 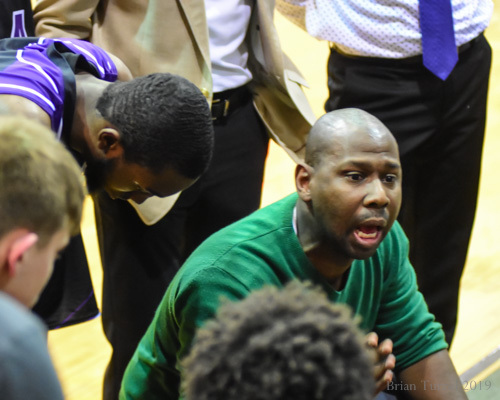 Piper coach Toure Grimes called three timeouts within 3 1/2 minutes in the third quarter to try to steady the team, but the Blues’ run continued. 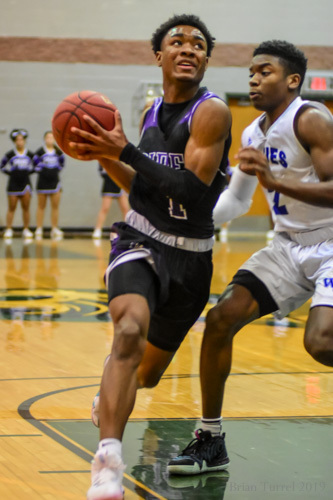 They moved back in front in the closing seconds of the third quarter for a 41-40 lead, holding Piper to one made basket and 4 points in the quarter. 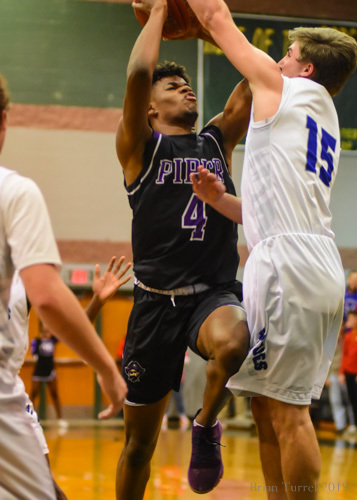 The Pirates steadied their offense in the fourth quarter, speeding up their passing to keep out of Washburn’s press, but they lacked their first half shooting touch and weren’t able to keep pace. White hit 6-of-6 free throws in the final minutes to seal Washburn’s win. 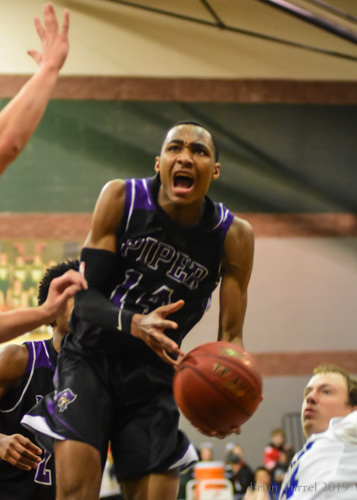 Piper defeated Basehor-Linwood and St. Joe Central on their path to the final. They’ll be back in action against Shawnee Heights on Wednesday, Jan. 23. 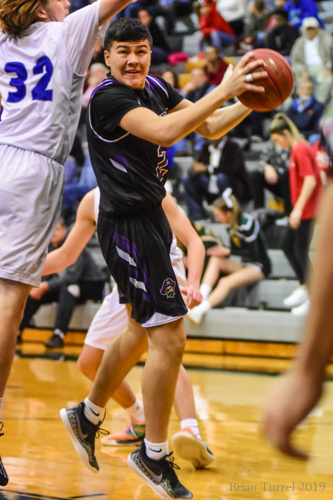 The Piper girls’ basketball team was also scheduled to play for the tournament championship on Friday evening, but their game, against St. Joe Central, was rescheduled due to weather. The game will be Tuesday evening in Piper.